Inventory is the quantity of a particular product (Physical, Digital or Service) that is available for sale in your Pixpa store. Inventory management is available only in plus plan. 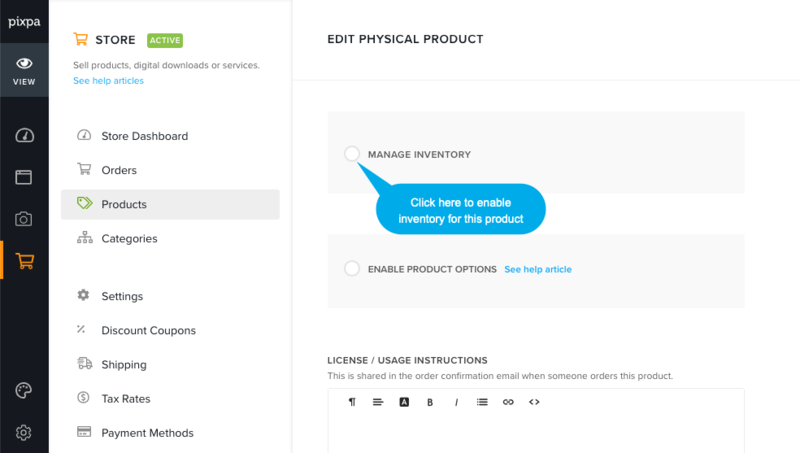 Click on the product name to edit that particular product or Click on + Add Product button to create a new product with options. Know more. 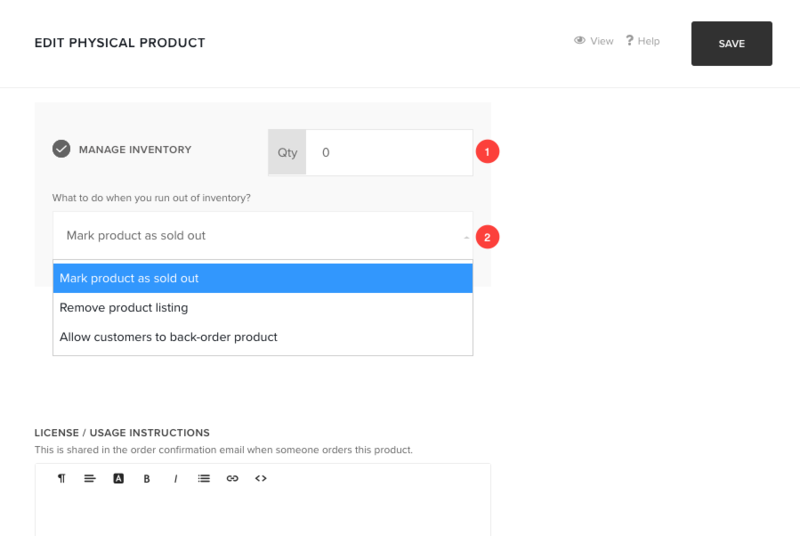 On the product creation/edit page, scroll down to Manage Inventory section. Click on it to enable inventory. You can set the product as sold out if inventory goes to zero. Or you can remove that particular product from the store. Or you can allow customers to purchase this product when it’s out of stock.. Typically it would help to take back-order or pre-order. In this case inventory goes in negative as order come. If there are multiple product options in your product, You need to specify the quantity for each option. 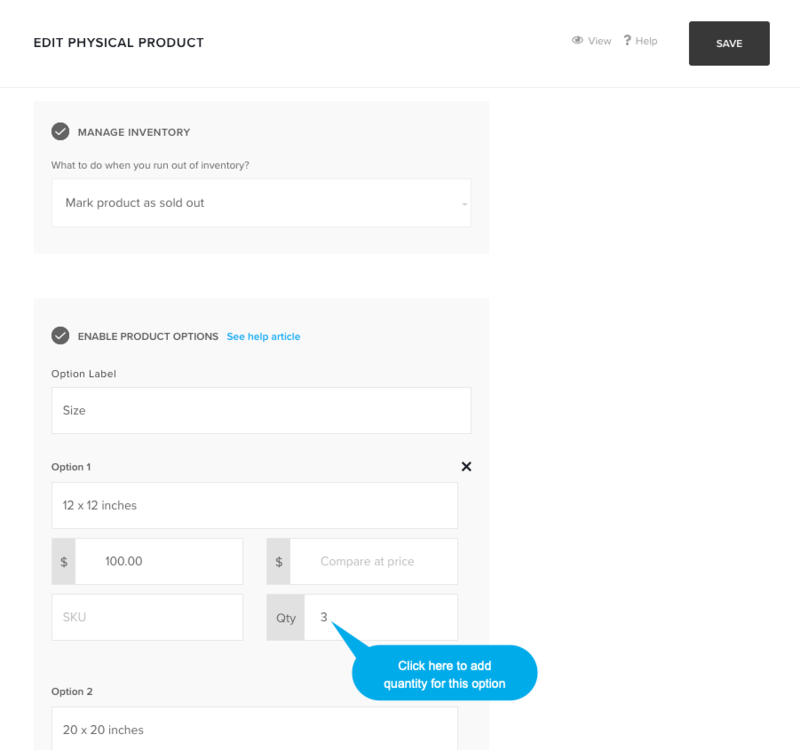 Simply enable the inventory tracking and add the quantity in individual product option as shown below. Important: If Manage Inventory is enabled then customer can purchase only those products that are available as per inventory limits. Click here to see How to add a digital products.